10/21- Groundation " A Miracle"
Since the dawn of recorded sound, music can be seen as a giant tapestry to which all musicians lend their creative influence. One band focused on the explosive evolution of this musical ecosystem is Groundation. Rooted in the reggae one-drop sound of Jamaica, Groundation seamlessly incorporates the harmonic, polyrhythmic, and improvisational elements of jazz, breathing new life into both genres. As one critic described it, Groundation begins at the crossroads where Burning Spear meets John Coltrane. Groundation's unique reggae fusion can be heard from villages in Thailand, to the favelas of Brazil, from the mountains of New Zealand, to Moroccan cafes and college dorm rooms in the United States. Since 1998 they've performed in more than thirty countries on six continents, sharing the stage with such diverse artists as Jimmy Cliff, Sly and the Family Stone, The Roots, Kanye West, and Sonic Youth. Jazz music at Northern California's Sonoma State University brought together the original members of Groundation: keyboardist Marcus Urani, bassist Ryan Newman, and Harrison Stafford, guitarist and reggae singer, around whom the original sound formed. Stafford, then both a teacher of reggae history and a student of jazz, wrote songs from seeds sown in the ground of California, where antiwar, civil rights, and ecology have always thrived. 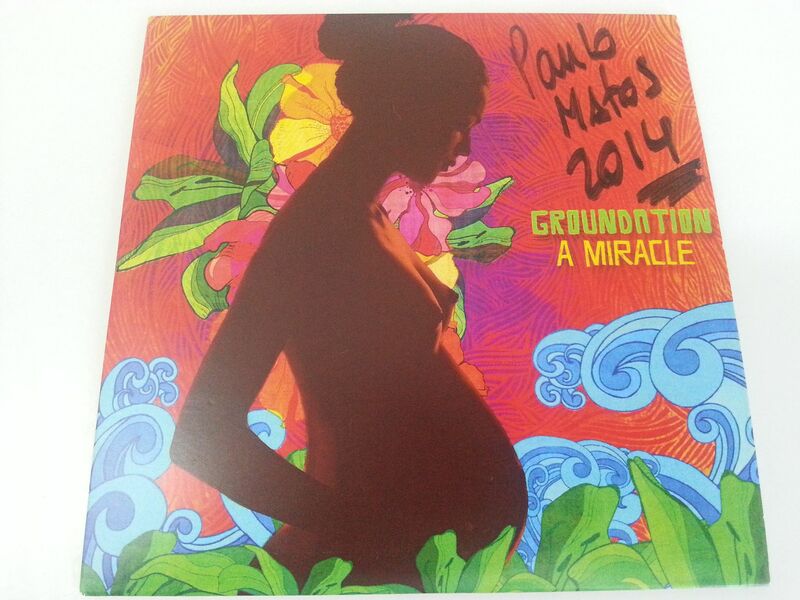 Continuing the band's long history of collaboration with Jamaican roots reggae legends like Don Carlos, IJahman Levi and The Congos, A MIRACLE Groundation's 8th full-length studio album, to be released in October 21st 2014 with Soulbeats Records, evokes the lasting and eternal influence of Bob Marley, A MIRACLE will features Marcia Griffiths and Judy Mowatt, founding members of Marley's legendary backing vocal trio the I-Threes. The picture is completed by the pen of Neville Garrick, Marley's art director from the time of the "Rastaman Vibration" album (1976) who made a very psychedelic cover album which reflects well the Groundation's virtuosity, its Californian origines and positive melodies. Out on October 21st 2014.